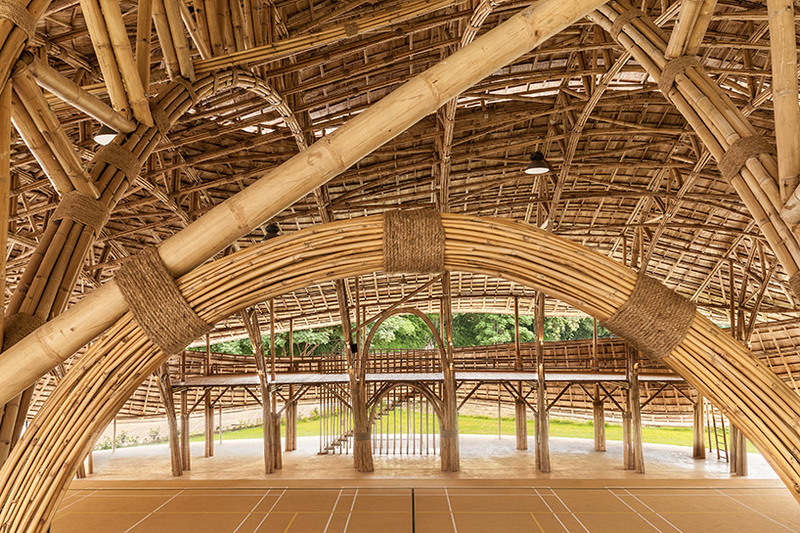 A new sports hall in Thailand highlights the aesthetic power and physical strength of bamboo, a flexible and fast-growing natural material. 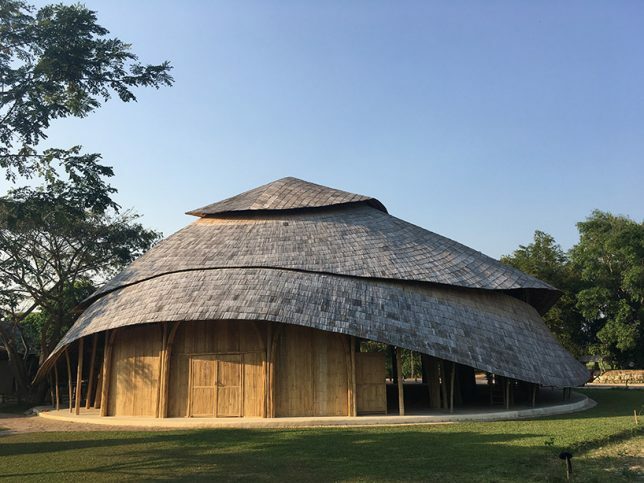 In total, more carbon is captured in the bamboo than was used to treat, transport and use it for construction, rendering its carbon footprint neutral. 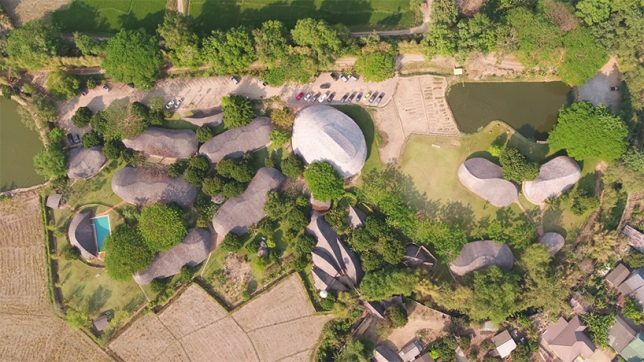 Located at the Panyaden International School in the Chiang Mai province, the new building was designed by Chiangmai Life Architects, a firm specializing in natural materials like bamboo and rammed earth. 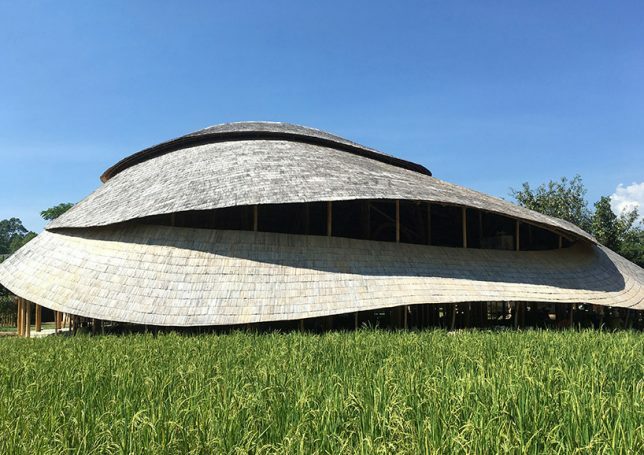 The symbolic design was inspired by the lotus, an important Buddhist and Thai symbol. 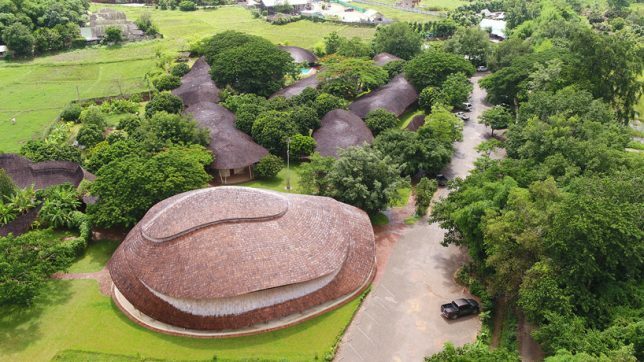 Its natural materials tie it to scenic surroundings while open sides allow for passive ventilation for cooling purposes. 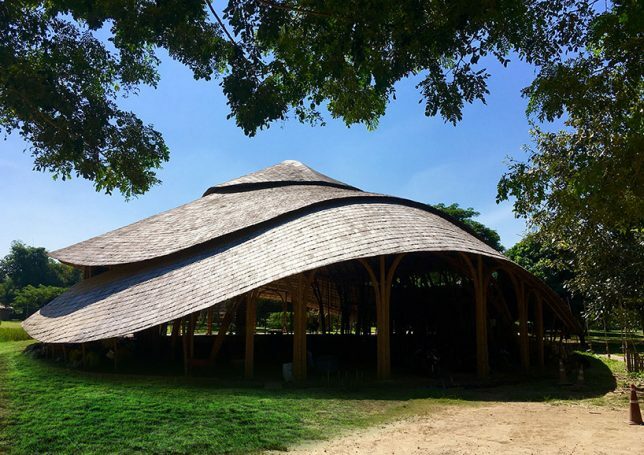 Despite its organic appearance, the structure is engineered to resist earthquakes, high-speed winds and other forces of nature. 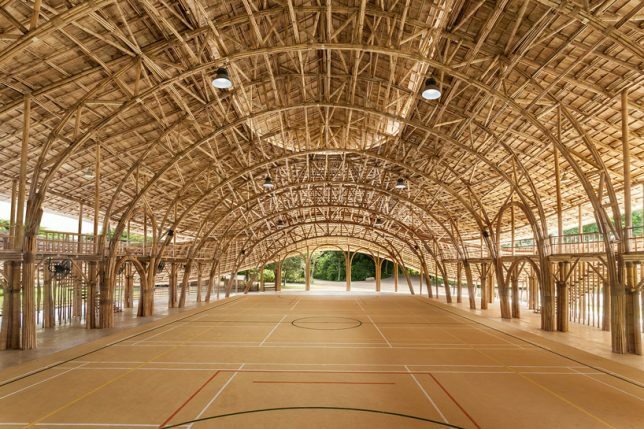 The complex is able to accommodate 300 students, spanning over 8,000 square feet, and is used to host games of basketball and futsal, a variation on soccer that takes place in a court. 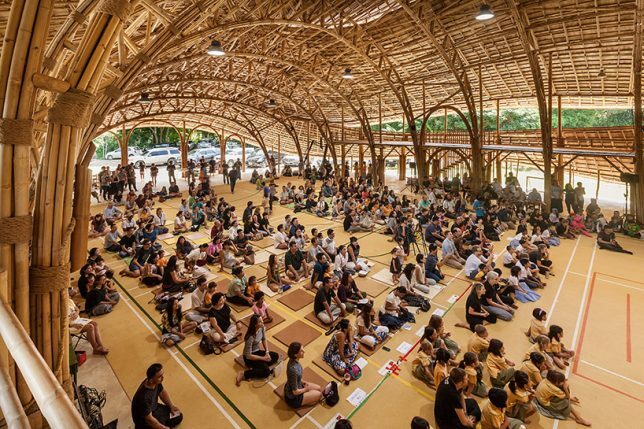 It can also be used for student gatherings and visiting speakers. 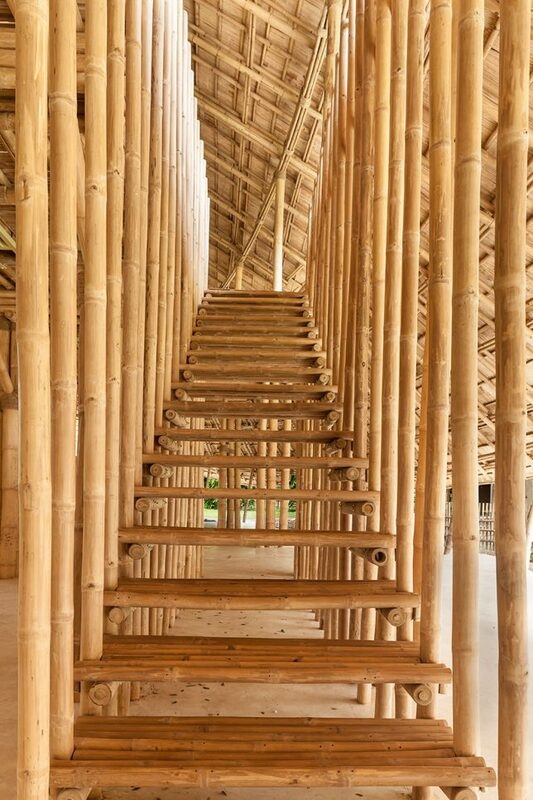 Like wood, bamboo is becoming an increasingly appealing material for architectural construction thanks to its rapid growth rate and ability to sequester carbon — the natural look and feel are a nice touch, too.